From later this month we’ll be sending out TWO newsletters – one catering primarily for tourists and visitors to Zambia, and the other containing more general news on Zambia for a wider audience including people living in Zambia. This strategy is also being rolled out in our blogs – with our new Zambia blog to be launched next week, and also in our twitters – Sara tweets to the world on Zambian travel and tourism and I tweet on anything Zambia as well as other things which are of interest – to me anyway. 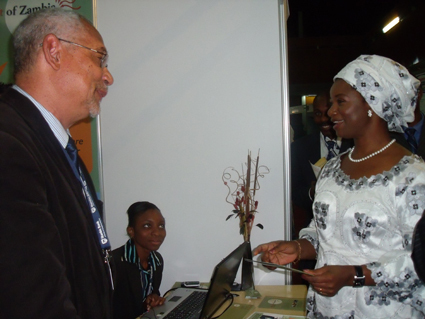 The Best of Zambia attended the Zambia International Travel Show last month. Honourable Catherine Namugala, Zambian Minister of Tourism, Environment & Natural Resources (photographed above at the Best of Zambia stand with Joseph Brown, Best of Zambia CEO) stated that only 5% of worldwide tourists end up in Africa – despite the fact that Africa has so much to offer. On a recent trip to the USA, Honourable Namugala found that many of the international delegates she spoke to did not know where Zambia was or what it offered (in fact it was often mistaken for Zimbabwe). She commented that tourists really do not know where Zambia is and our challenge is to fix this and educate them on the difference between Zimbabwe and Zambia. The debate on the effectiveness or otherwise of aid to Africa is still really hot! In April 09 Zambian economist Dambisa Moyo published her book ‘Dead Aid’ and began a massive and extremely successful promotional campaign advocating that aid has had a negative impact on Africa and should be ended as soon as possible. She has rocked the economists’ world with a very effective publicity drive. It reminds me of catwalk clothes which are deliberately controversial and larger than life. I believe her statements about the negative impact of aid in Africa are sensational in the same kind of way. I believe she has achieved her goal of getting noticed. I commend her for giving Africa, and Zambia, some pride in itself, some dignity, indeed a voice that people globally are listening to – congratulations Dambisa! Most economists don’t agree with her views and are getting very steamed up about her. Not sure whose livelihoods are being threatened. Read all about the latest here and here and here. Goal.com reports that Zambia triumphed 1-0 over a resolute Rwandese side Saturday June 6 2009 at the Konkola Stadium in Chililabomwe. Ransford Kalaba netted the match winner after 79 minutes. The Amavubi of Rwanda looked like they would hold out for a draw before Kalaba headed home off an Emmanuel Mbola cross to put the home team ahead. The Best of Zambia is rising to this challenge – we’re working with the private sector to market Zambia innovatively through the internet so that Zambia IS visible to the world and CAN compete online. 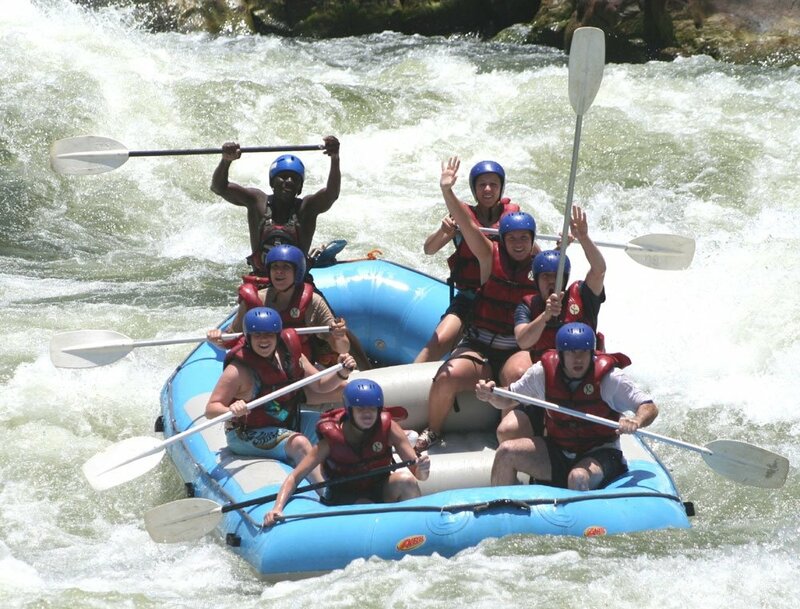 The Best of Zambia World Cup page features special World Cup news and tourist offers in Zambia. • There is resilience in the desire to travel – people are still travelling though some are going for cheaper options than previously. • Consumers are currently better off due to cheaper mortgages and the offers & discounts that are available! • Transparency and value are more important than price to the consumer. For example, they don’t want any hidden charges. • In this ‘considered spend’ culture, some consumers perceive it to be shameful to be seen to be spending a lot. And in comes ‘conscientious consumerism’ which fits in well with those that offer sustainability / eco-travel / responsible tourism – in fact this suits Africa. Nice Article. Have bookmarked your site! Keep it up!